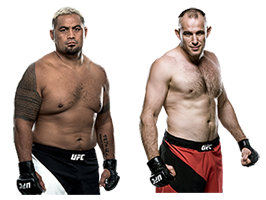 Following this past weekend's UFC Fight Night 136 event in Moscow, Russia, it's fair to say that two heavyweights don't have much left in the tank. Both Mark Hunt and Andrei Arlovski suffered disappointing losses on the card, and the calls for both men to retire have been loud in recent days. Typically I don't think it's fair to tell a fighter when to retire, but in the cases of Hunt and Arlovski, I can see why so many fans and media members have suggested they hang up the gloves. In the case of Hunt, the fact he's 44 years old and one of the oldest fighters on the UFC roster should be enough of a reason. Very few fighters outside of Dan Henderson and Randy Couture have experienced success in this sport in their mid-to-late 40s, and Hunt doesn't appear to be joining the list. This is a young man's game, and in most of Hunt's recent performances he's just looked old. Known for having an iron chin his entire career, Hunt's ability to take punishment has really faded in recent years. He's been knocked out four times in the UFC, and even though he was tapped out by Aleksei Oleinik at UFC Moscow, prior to the submission he was rocked with a looping punch. 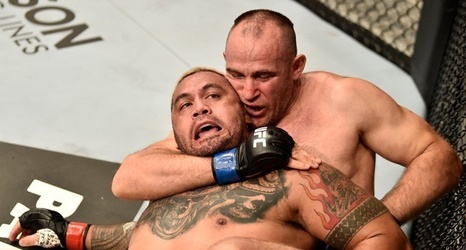 For years, someone like Oliynyk wouldn't have been able to touch Hunt, but at 44 even a grazing shot from a Brazilian jiu-jitsu master can hurt him. Hunt did beat Derrick Lewis just last year, showing that he can still land a bomb once in a while, but besides that win he's lost three of his last four fights, and he was dominated in all of those losses. His grappling has never been his strong suit, but he's been really exposed in recent fights. Now that his chin is fading, he no longer has as much margin for error on the feet in his fights, leaving him with few paths to victory these days. Hunt has had an amazing career, but all this damage is starting to add up, and it's making it hard to watch him fight. 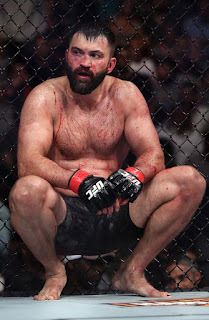 As for Arlovski, he's another aging vet who doesn't look like he has much left in the tank at age 39. 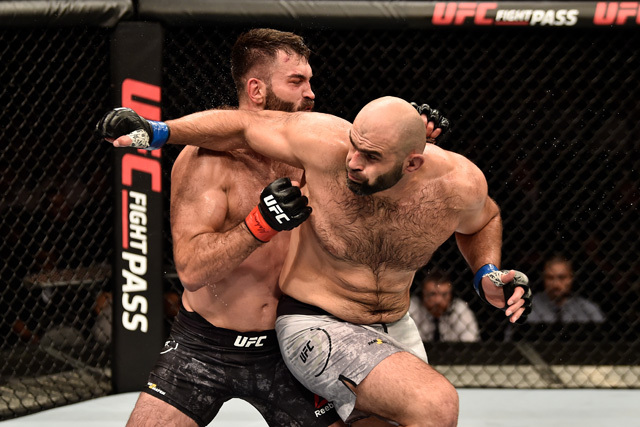 His last two fights, an ugly decision loss to Shamil Abdurakhimov, and before that, a similar defeat to Tai Tuivasa, were not exactly entertaining fights, and neither were his decision wins over Stefan Struve and Junior Albini. Arlovski has turned into someone who just isn't very fun to watch fight these days. Even though he's not getting knocked out on the regular like he was a few years ago, he's still been very unimpressive lately, going 2-7 over his last njne bouts. As a big-ticket fighter, if Arlovski is not performing up to expectations, the UFC might want to cut its losses and let him go. He's not worth the money the UFC is paying him right now, and as an older fighter with nothing left to prove in this sport who has taken a lot of damage, it's not surprising to see people call for him to hang them up. Although I've enjoyed watching Hunt and Arlovski fight their entire careers, their recent performances have left much to be desired. Hunt has one more fight left on his UFC deal, and the promotion should probably honor that. In that case, maybe he can fight Arlovski in a potential retirement match for both men. Sure, Bellator or RIZIN could make a play for both guys if the UFC did let them go, but at this point I don't think either guy has anything left to prove. They are old fighters who have been knocked out so many times, and neither man has much left in the tank. It's time for both guys to consider their future without fighting in it, or the UFC might just make that decision for them. But if they want to have one last hurrah, preferably against each other, I'm OK with that too. • Mark Hunt vs. Aleksei Oleinik: Aleksei Oleinik def. Mark Hunt via submission (rear-naked choke) at 4:22 of Round 1. • Shamil Abdurakhimov vs. Andrei Arlovski: Shamil Abdurakhimov def. Andrei Arlovski via unanimous decision (29-28, 30-27, 30-27).